Is nattokinase a safe alternative to warfarin? An enzyme called nattokinase can be extracted from natto, a vegetable cheese-like food that is popular in Japan. Research in the lab confirms that nattokinase has an anticoagulant effect. Nattokinase is promoted as a safe anticlotting agent. An email I received this morning described it as perhaps “among the most powerful of all methods to improve your heart health.” The source of nattokinase is natto, a vegetable cheese-like food made from fermented soybeans. The story is similar to other “miracle” treatments from the orient ? except for the part about the horses. 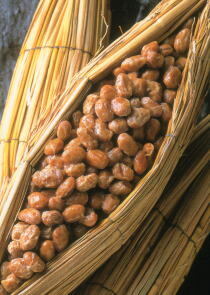 The Japanese have eaten natto for a thousand years. They have a lower prevalence of heart disease. And western drugs are poison.